Want to know the advantages of search engine optimization? Here’s some of them. Were you looking to hire a Search Engine Optimization Agency? You’re probably not sure of the advantages of search engine optimization and that’s normal if you’re new to this. We’ve put together a list of some of the reasons it is good for your business, site traffic and brand awareness. Most people will think that they can just go ahead and do SEO on their own and it will bring in great results. Unless you’re a professional, you might end up doing more harm than good on your site if you do not use the correct practices of the newest search engine optimization standards. Leave it to people who know exactly what they are doing, it’s worth the investment. Let’s talk about some of the advantages to do so. The five most common advantages of search engine optimization done professionally. Here are the five most important advantages you might wanna get to know, then you can make your decision if that is something your business needs or not. Natural referencing on your website will bring in more traffic. As you might already know, optimizing your site for search engines (SEO) is now crucial to your site. Years ago, only websites with a very large number of competing enterprises were really needing to use search engine optimization to get ahead. Now that changed a lot, everyone actually uses SEO to be on top of their competition, even very small companies. It brings more traffic, more potential customers and therefore more sales. Without SEO, your site will never get the visibility it needs. Without an optimized website that is fast, mobile-friendly and has the right keywords to fight the gigantic sea of competitors, you’ll probably just lay way down in the search results and noone will find you or your products. You’ll quickly realise that it is almost impossible to raise your sales numbers or visitors because you’re just not found out there. A Search Engine Optimization agency with a strong knowledge of the field will know exactly what keywords to target, which route to take to get ahead. Search Engine Optimization companies have the experience. You may already know the basics of Search Engine Optimization (SEO) that you’ve read about in books, SEO blog or anywhere that the information is available, doesn’t mean that you have experience with it. You could also think you know the best practices so you’ll start testing some stuff on your site and hope for results to come, it usually is a bad idea since Google is prompt to penalize bad SEO practices and bring your ranking down along the line. Search engine optimization companies have the experience and the knowledge necessary to make sure that doesn’t happen. Implementing strong tactics and great content to let Google know that your site is a good reference in your field and people should see it and find it easier. Dealing with a team of professionals in SEO is gonna make sure that you’ll know everything is under control and they are there to help you answer all your questions and concerns along the way. Search Engine Optimization professionals will bring in results. As we mentionned before, the idea is to make sure you don’t damage your site’s online reputation, SEO Nerds like us can make sure that doesn’t happen. Often when you run a business, you’ll try to save money wherever you can and won’t see SEO as a viable investment. That seems to happen a lot when small business owners go find the cheapest SEO services and they’re being told that it will bring in the same results as if you’d be working with a company with experience and slightly higher rates. Don’t get caught up with foreign companies who will bring you nothing but headaches and communication issues along the line. Some of us do great SEO, the advantages of search engine optimization are proven to be worth the investment. Letting professionals handle your SEO will let you focus on what’s important like customer care. We all want our clients to be happy in any field we work in. If you’re working hard on trying to make your SEO work for you without hiring companies to do it for you, you’re gonna end up neglecting the most important part of a business, your clients. Companies who offer other services than just SEO can greatly help your business. If you’ve decided to make the jump and hire a company to do your search engine optimization, you should get with a company that offers more than just SEO. You don’t want to be running back and forth between a bunch of people, one that does you website edits, the other one takes care of your social media marketing and a third one in charge of your SEO. Head on over to Digital Marketing Services to give you an idea of what we can offer. 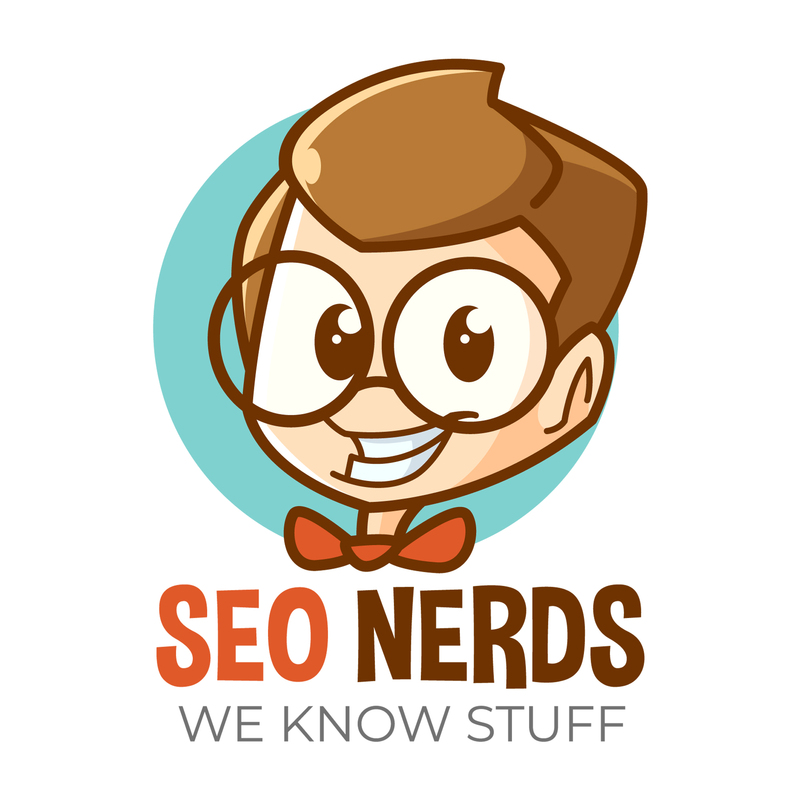 Web agencies like us at SEO Nerds offer full-service packages which will make you save a lot of money compared to getting your services from various different companies. You’ll probably need website design, e-commerce sales platform, graphic design, inbound marketing, leads generation and so on. We can help with everything and we’re offering affordable services in all fields. But where will I find a Search Engine Optimization company that I can trust? Finding the right SEO agency can be a bit of work if you don’t know the difference between all of them and what they offer. Look around on their website, check if they have a strong online following on social medias, reviews can help too, if you see negative reviews on Google+, Yelp or their Facebook page, that can be a red flag. Just use your judgment. Also do not hesitate to contact the company (Contact Us Anytime) and ask your questions, we’ve got the answer. If you have concerns about prices, what are the real advantages of search engine optimization and what kind of return on investment are you looking at, just ask. We’re always here to help and we love our clients.